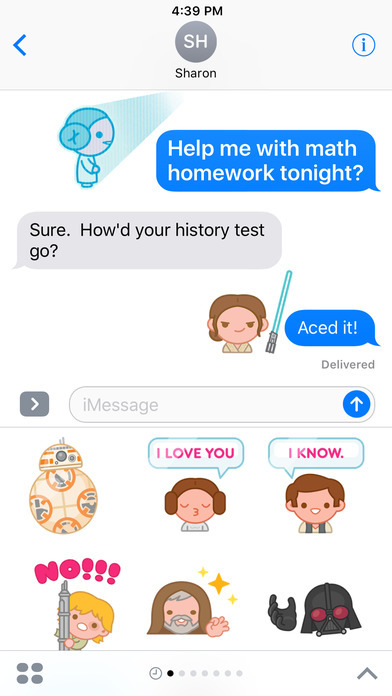 I worked with Lucasfilm to develop an original animated Star Wars iMessages sticker set for the launch of Apple's iOS10 for the iPhone. 16 animated stickers, featuring all your favorite Star Wars characters! Read my interview at StarWars.com for more on the making of the stickers.